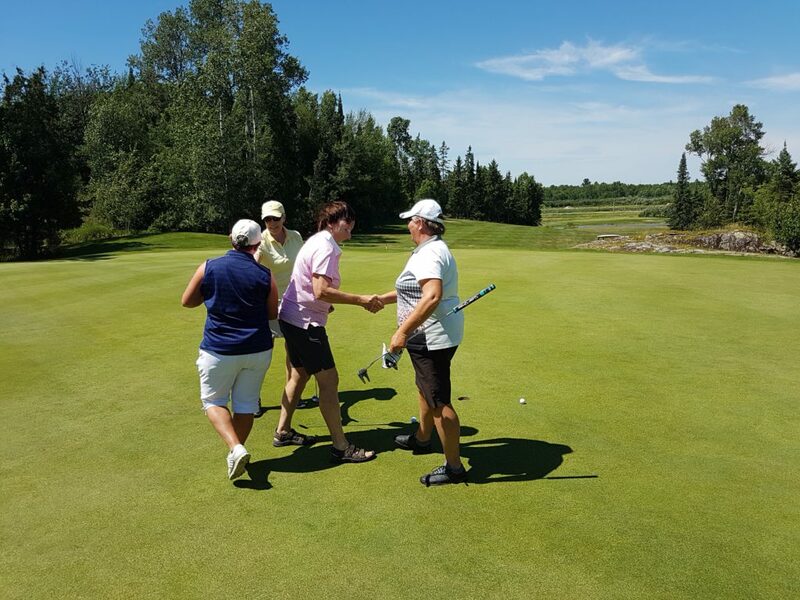 Carole Chaumont and Lucette Descoteaux arrived determined to defend their title for the second consecutive year and third win in a row, but Osprey member Jean Cook and partner Colleen Eagan did their best to end their reign, carding a tying score of 73 and forcing a sudden death playoff. But after a single hole, Carole and Lucette successfully defended their title, making it three wins in three years. Click here to view pictures of the day.